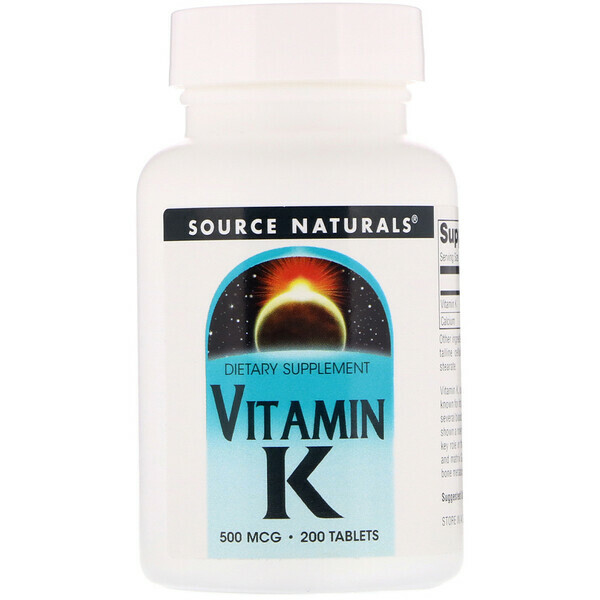 Vitamin K or phylloquinone, is a fat-soluble vitamin best known for its important function in the biological activity of several blood coagulation factors. Recent research has also shown a role for vitamin K in bone health. 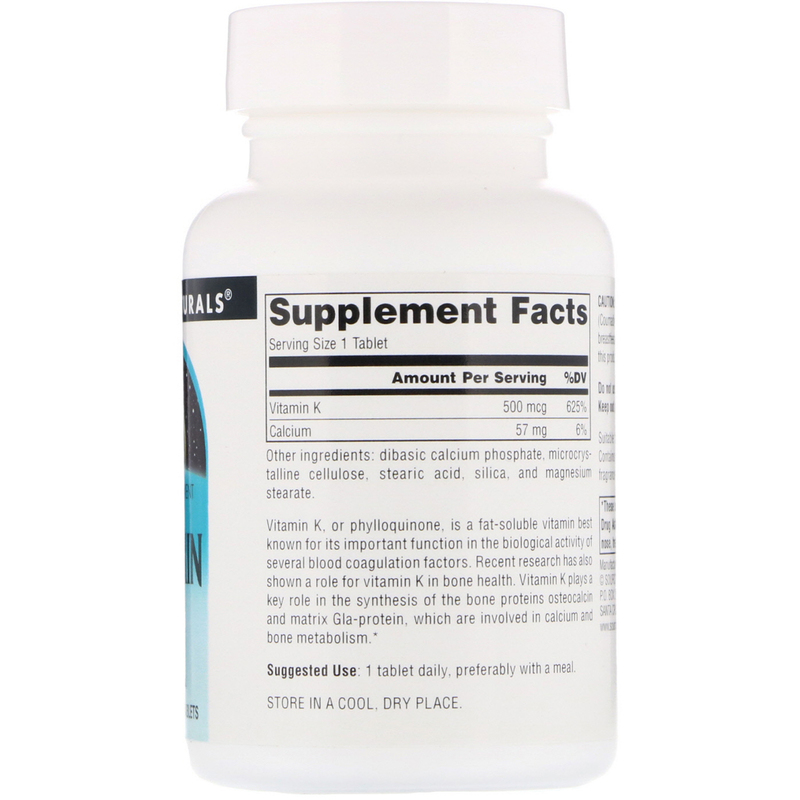 Vitamin K plays a key role in the synthesis of the bone proteins osteocalcin and matrix Gla-protein, which are involved in calcium and bone metabolism. 1 tablet daily, preferably with a meal. Dibasic calcium phosphate, microcrystalline cellulose, stearic acid, silica, and magnesium stearate. Suitable for vegetarians. Contains no yeast, dairy, egg or soy. Contains no starch, preservatives or artificial color, flavor or fragrance. Caution: If you are taking anticoagulant drugs, such as warfarin (Coumadin), or if you are pregnant, may become pregnant, or breastfeeding, consult your health care professional before taking this product.